You may link to this website freely. 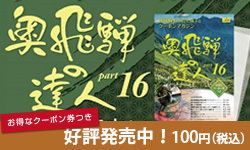 In this case, please link to Home-page ( http://www.okuhida.or.jp ). You can use these images as banner (link button). The houses with a steep rafter roof are registered as a World Heritage. Famous with Takayama-Matsuri (Takayama Festival) at Spring and Autumn. Informations about Moutain scenic spot “Kamikochi” and Shirahone Spa. Information of “Norikura sky line” with live-cameras. Highland resorts located at East of Mt. Norikura. Introducing “Shirakabe-Dozo”, Setogawa-River, and Furukawa-Yancha Festival. 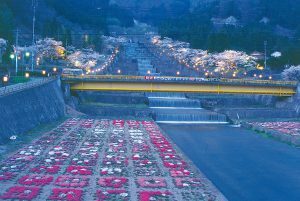 Intoroducing Kurobe Dam, Trolley bus and TATEYAMA KUROBE KANKO CO., LTD.
Abo-Tunnel made Matsumoto close to Okuhida. Chinese fiddle (four‐stringed fiddle) sounds filled with sorrow. you can enjoy seasonal foods. Information on the Takahara-gawa River originating from the Northern Japan Alps. You can receive Okuhida Onsengo Pamphlets.